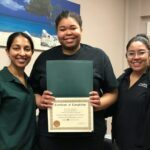 After back pain, neck pain comes in at a close second as one of the most treated issues in our physical therapy clinics in Jersey City and Elizabeth, NJ. Neck pain can come different forms, including a constant ache or sharp pain with movement, which can stop you from enjoying your regular daily activities. A common problem, neck pain affects approximately 2/3rds of the population at one point or another. Sciatica. 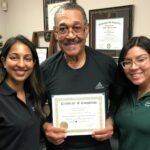 In my experience in Physical Therapy, my patients in Jersey City and Elizabeth have definitely heard the term before, but there is a struggle to really define what it is. In order to clear up this confusion, I thought it would be a great idea to jump right in and define what sciatica is, plus go into common causes for the condition.